The Urui is crisp and slimy Sansai whose pale-purple flowers, yelow-green leaves and white stems are all edible. 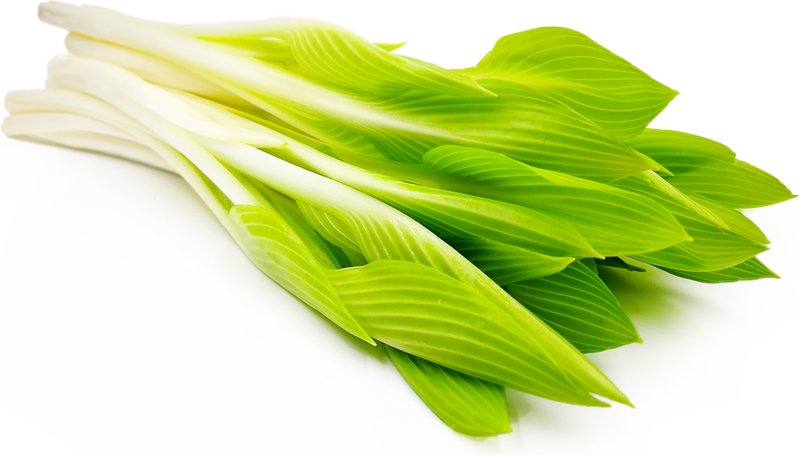 It offers a simple taste that is similar to asparagus and lettuce. Urui are harvested when they are less than eleven inches in length and when their leaves are small and soft. The greenhouse grown variety has a lanky long white stem compared to the wild Urui because it is deeply covered in rice husk when it grows. Greenhouse grown Urui are available from the late winter in the market. Wild Urui are available in the spring months. The Urui is also commonly known as Hostas, Ginbo or Oobagiboshi and scientifically known as Hosta montana. It is a perennial herb that is in the Lily family and blooms beautiful pale-purple flowers during the summer months. Today most Urui that you can find at a local grocery stores are greenhouse grown. The Urui is rich in vitamin C, there is also polysaccharides in the Urui’s slime that can increase the number of lymphocytes in the human body which can boost resistance to certain diseases. Urui’s flowers, stems and leaves can be enjoyed cooked or raw. Add raw flowers in desserts or salads as a decoration or boil them quickly and dress with Sanbaizu. Use them in salads, soups, tempura, marinated dishes, Ohitashi, Asa-zuke, stir-fries or pastas. Uruis won't be slimy when they are raw, but their unique characteristic of slimy texture will come out when they are either cooked or beaten with a knife. Choose flowers that have petals which are not open very much, so they will be tender enough to eat. Try to get Urui that have a white plump stem, and their leaves are yellow-green and fresh to the tip. Wild Urui with dark green leaves are tough and bitter, thus only use their white stems. Urui will have the highest moisture content in the morning, therefore harvesting them in the morning will be best. Urui can get dry easily, so make sure to wrap them in a moistened paper towel, put them in a plastic bag and store them in an upright position in the refrigerator. They have a short shelf life, hence it is best to eat them as soon as they are harvested. For long term storing, they can be also dried and preserved. People in Japan have been eating edible wild plants such as Urui for a long time. Wild Urui grow between Honshu and Hokkaido, and they prefer moist grasslands and mountains. Also they grow in the Korean Peninsula and China. Greenhouse grown Urui have been harvested in Tohoku, such as Yamagata prefecture, but recently they have been harvested in Tokushima prefecture which is in Shikoku island. Recipes that include Urui. One is easiest, three is harder. 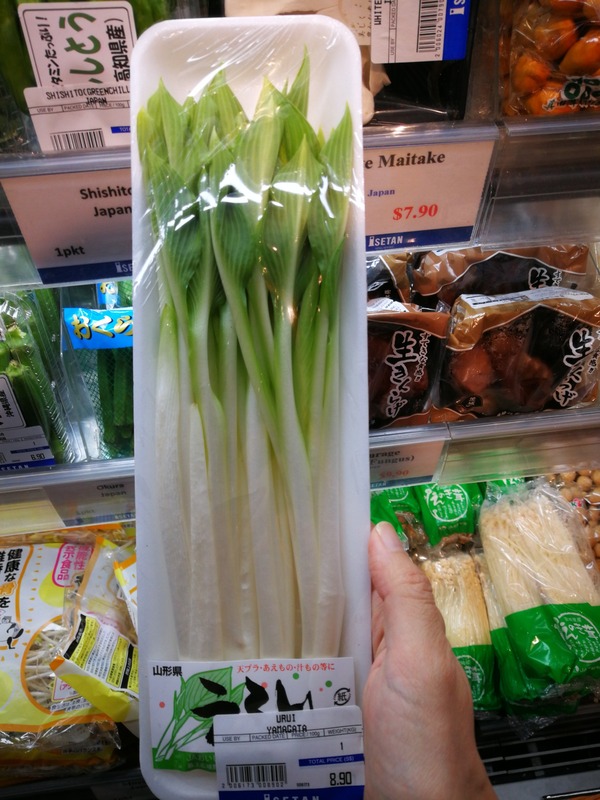 Someone shared Urui using the Specialty Produce app for iPhone and Android.